Myriad has announced that it's now possible to run Android apps on the iPad thanks to Alien Dalvik v2.0. Myriad's latest Alien release will not only enable Android apps to run across non-Android smartphone platforms, but will now enable the Android ecosystem to be extended across multiple devices and screens such as tablets, e-books, TVs, automotives and even avionics, says the company. 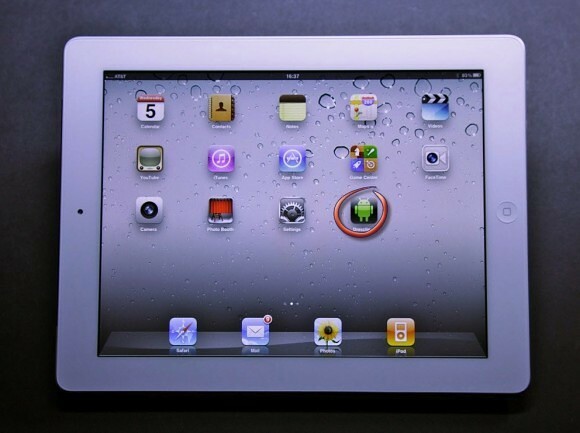 Myriad will be showcasing Alien Dalvik 2.0 and its multi-screen strategy, demonstrating Android apps on Apple iPad for the first time at CTIA Enterprise & Applications 2011 next week. "We have seen incredible momentum in Android adoption, but we are just scratching the surface," said Simon Wilkinson, Chief Executive Officer, Myriad Group. "Digital screens such as Internet- enabled TVs and in-vehicle displays, along with other consumer devices like tablets and e-books are proliferating at an astounding rate. Consumers are driving multimedia evolution and are demanding more converged multi-screen services. With Alien Dalvik 2.0, we are creating a more flexible, consistent user experience by mobilizing content such as live sports, recorded TV shows and on-demand movies, so users can enjoy content seamlessly from one device to the next." Alien Dalvik 2.0 is the first step towards creating a single app standard and marks yet another key milestone for Myriad Android innovations. Alien Dalvik 2.0 enables the majority of Android apps to run unmodified using Android Package (APK) files. This in turn allows app store owners and publishers to quickly transcend multiple platforms and screens, leveraging existing software and middleware, all without compromising performance. Furthermore, Alien Dalvik 2.0 enables developers to create once and use many times, while allowing operators, OEMs, and even enterprise to streamline app rollout - taking the headache out of platform fragmentation and content management. From a user perspective, Alien Dalvik 2.0 is completely transparent and installed without user disruption. Users simply enjoy the same rich Android ecosystem they have become accustomed to via mobile on other key screens, such as playing Angry Birds on HDTV. This all while gaining faster access to a wider range of apps, thus encouraging a higher frequency of downloads and increased ARPU.